The K104F-R mates with either the K100 Bead or the K100B Hermetic Bead. Several tools are used to manually install the bead and connector. 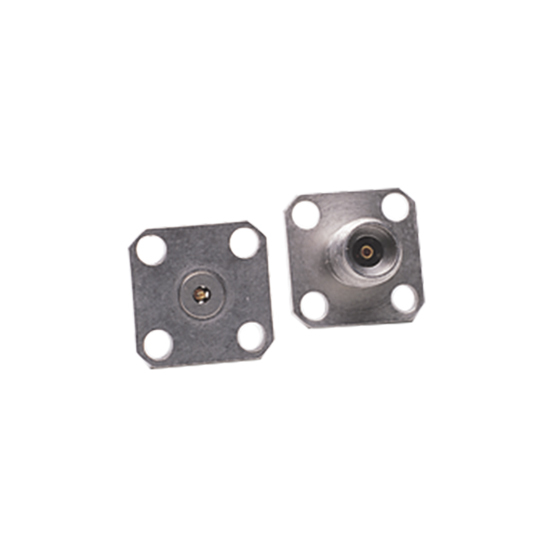 Use the 01-106 soldering fixture to properly position the bead in a housing before soldering. This tool also is used with the K103F, K103M, and K104M. Use the 01-104 Drill & Tap Set to simplify the job of drilling the required concentric holes in the housing; it is used when NOT using Stress Relief Contacts. Use the 01-108 Drill & Tap Set for the same purpose when Stress Relief Contacts are used. The K104F-R is RoHS compliant. It contains less than the Maximum Concentration Values (MCVs) for Lead, Mercury, Cadmium, Hexavalent Chromium, PBB and PBDE per EU directive 2002/95/EC. The following RoHS exemption applies: Lead as an alloying element in copper containing up to 4% (40000PPM) lead by weight.